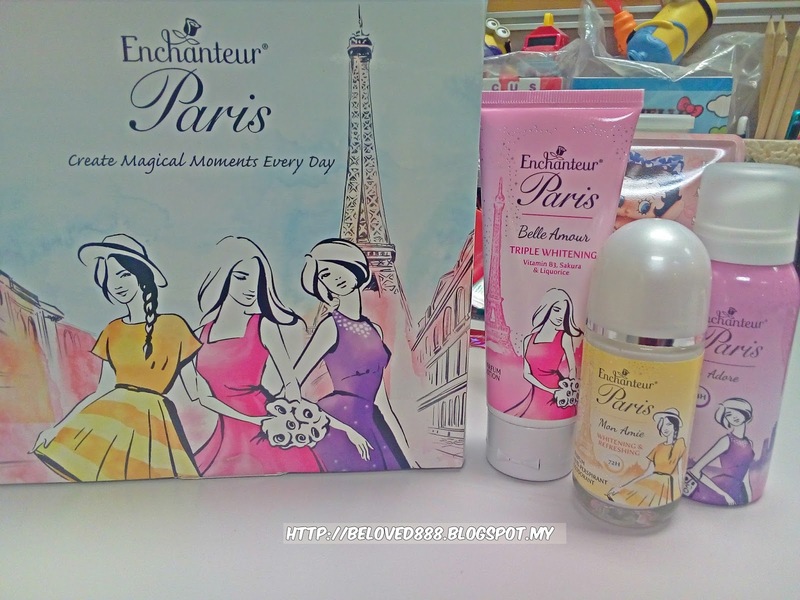 Giving your skin a stunning look with Enchanteur Paris body care products. Introduce Enchanteur Paris Body care range that has the similar fine fragrances that deliver all day freshness to every women. 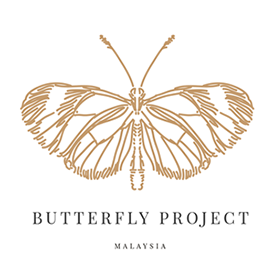 Come in with a nice packaging that represent the femininity. The box attract me when I unwrapped the parcel. 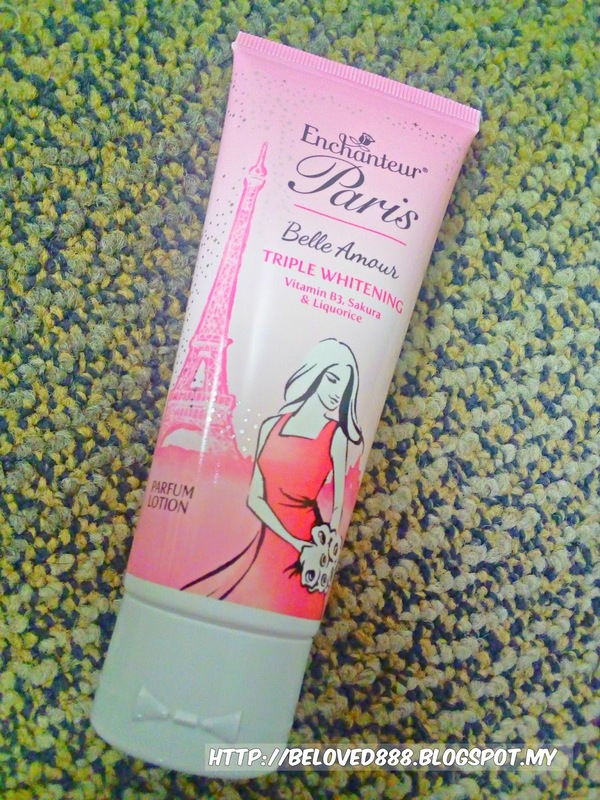 Enchanteur Paris Belle Amour range connotes blossoming and love. I love the nice scent and it has triple whitening agents : Vitamin B3, Sakura and Liquorice. The body lotion texture is soft and easily adsorb into my skin. 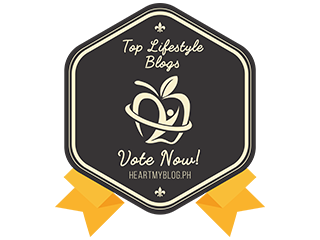 If you love the nice smell of Belle Amour, give a try on the Enchanteur Paris Belle Amour Extra Whitening Parfum Anti-Perspirant Deodorant and Enchanteur Paris Belle Amour Parfum Deo Mist. Enchanteur Paris Mon Amie inspired by sheer happiness. The light and refreshing smell of Mon Amie sparks up your day and it suits for casual outing with friends. Keep your skin hydrate all the time with Enchanteur Paris Mon Amie Double Moisture Parfum Serum with Ultra Hyaluronic Hydration & Olive Oil. Enhanced the lively and charming scent with the Enchanteur Paris Mon Amie Whitening & Refreshing Parfum Anti-Perspirant Odor or Enchanteur Paris Mon Amie Parfum Deo Mist to ensure all day freshness. 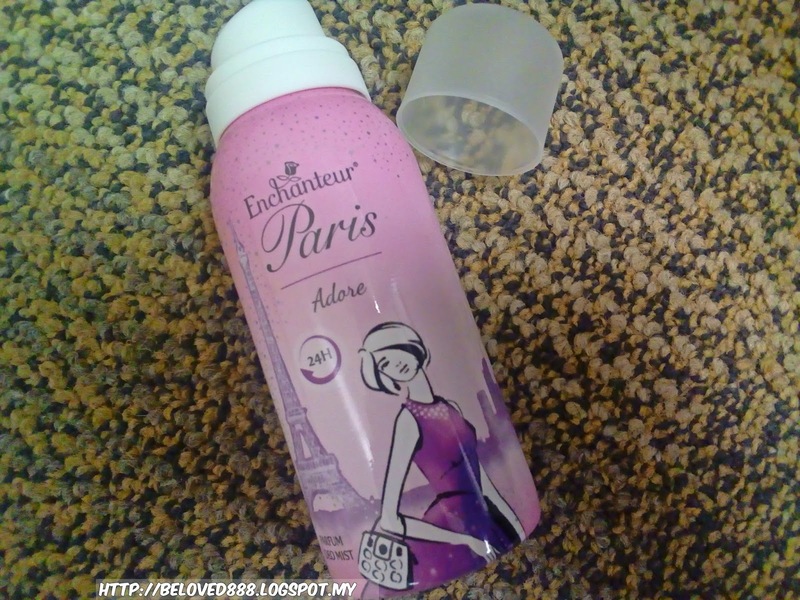 If you love sweet scent, Enchanteur Paris Adore suit your personality. Enchanteur Paris Adore range which is a combination of floral and fruity scents evokes a sense of nostalgic magic of lasting impression relived every day. 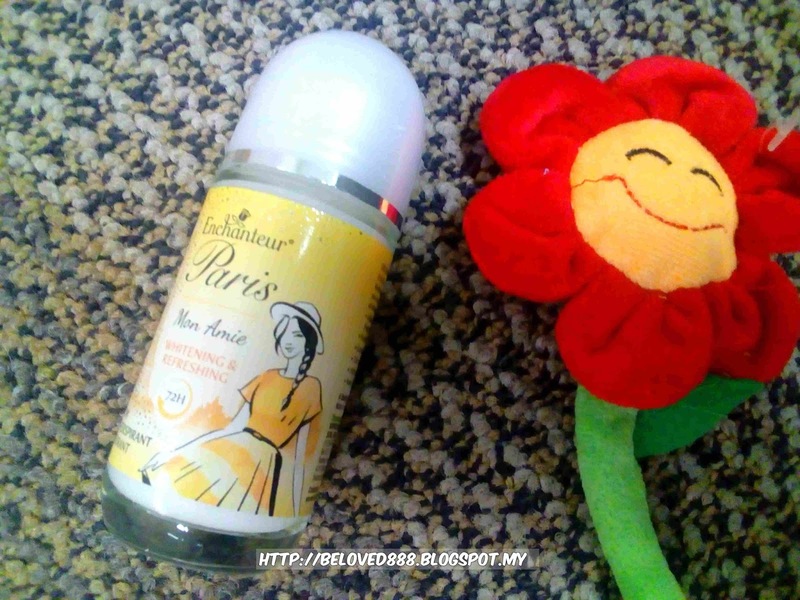 Enchanteur Paris Adore Parfurm Deo Mist deliver the refreshing moment while Enchanteur Paris Adore Whitening & Soothing Parfum Anti-Perspirant Deodorant provide extra care for our underarm and leave our skin protected, refresh and soothing. Love the refreshing feeling. Enchanteur Paris Adore Antibacterial Care Parfurm Body Lotion gives a protection to my skin as it helps to prevent the harmful UV and bacteria.